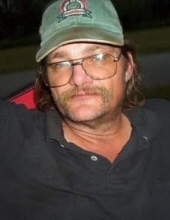 Jeffrey Scott Morgan, 56, of Moline passed away February 4, 2019 at Unity Point Rock Island. Per his wishes he will be cremated and services will be private. Quad Cities Cremation Center is assisting the family with arrangements. Jeffrey was born March 27, 1962 in Moline IL the son of Frederic and Margaret Jane Morgan. He served in the U.S. Marine Corp and worked as a truck driver. Jeffery was a Master Mason and past master of Rock Island Lodge #658 & London Lodge #848, he enjoyed collecting and trading model trains, camping, auto racing, and was a die hard CUBS fan. Survivors include his lifetime companion Anne Muransky; daughters Annarae Morgan and Annette Ward; grandson Blaklee; his Mother Margaret Jane Smith Morgan and brothers Larry (Michelle) Morgan and John (Connie Baker) Morgan; and many nieces and nephews. Jeffrey was preceded in death by his father and a grandson. To plant a tree in memory of Jeffrey Scott Morgan, please visit our Tribute Store. "Email Address" would like to share the life celebration of Jeffrey Scott Morgan. Click on the "link" to go to share a favorite memory or leave a condolence message for the family.